The AR9030T receiver is a feature-packed, 9-channel receiver with integrated full-range telemetry. The AR9030T features built-in connection ports for RPM, Flight Pack Voltage and Temperature sensors as well as an X-Bus port for additional telemetry options. 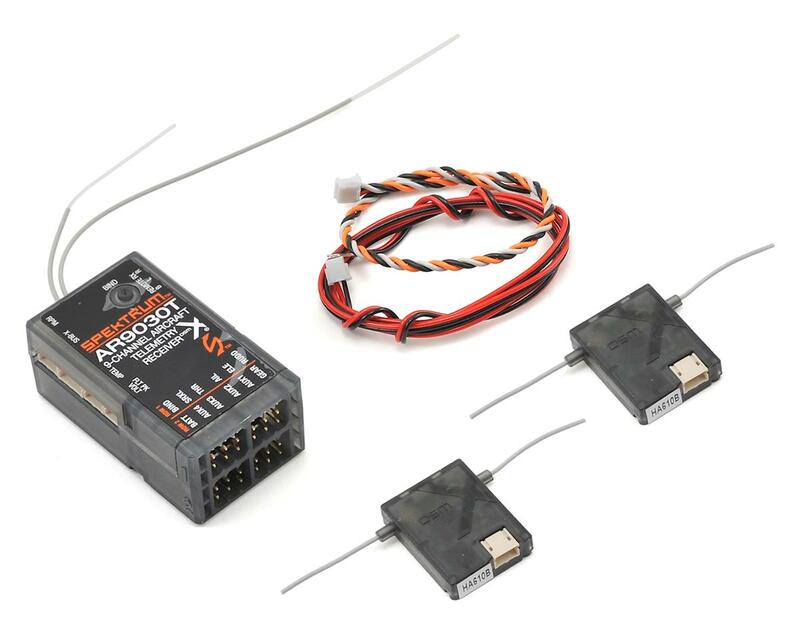 No sensor is required to receive flight log or receiver pack voltage telemetry data. If you have a DSMX/DSM2® transmitter capable of 11ms frame rates the AR9030T receiver will deliver lightning-fast input-to-output response that is perfect for high-performance applications like 3D helis and airplanes. 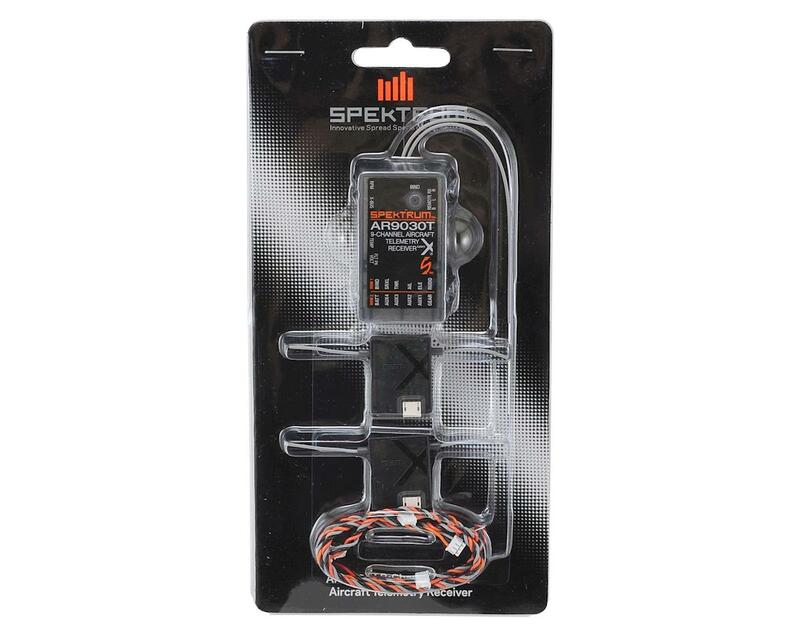 The AR9030T includes 2 DSMX remote receivers that allows you take advantage of Spektrum™ MultiLink™ technology. This patented technology eliminates the reflected signal fading and antenna blind spots that can affect all 2.4GHz systems.